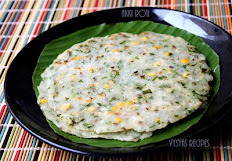 Puli adai is is prepared with idli Rice and tanginess is acheived by using tamarind. 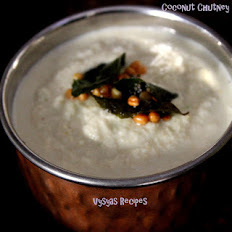 it is an authentic vysyas Recipe. 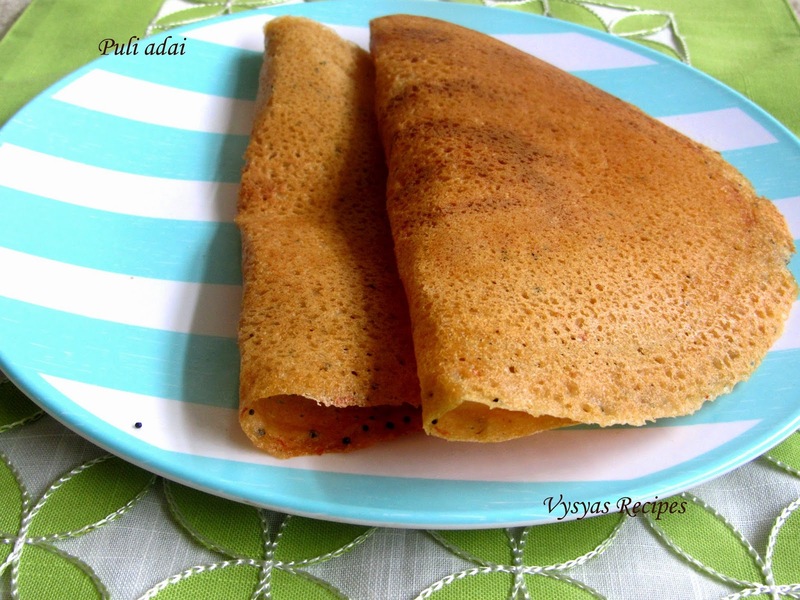 As soon as u prepare the batter, we can start preparing adai. 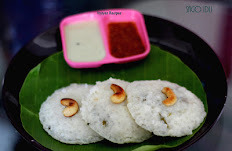 idli Rice - 1+1/2 cup. Cooked Rice/Left over Rice - 3/4 cup. Soak the idli rice for 4 to 5 hrs or overnight. 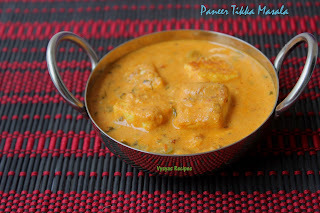 To the Soaked idli Rice add all other ingredient and grind it into a coarse batter. The consistency should be little watery than normal dosa, as shown in the picture. Heat the oil, add mustard seeds, when it splutters add it to the batter. 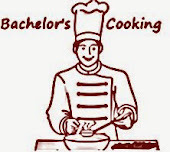 Heat the skillet or tawa and start preparing the adai. Pour the ladle of batter on the tawa and just spread it over the tawa. Then drizzle some oil. 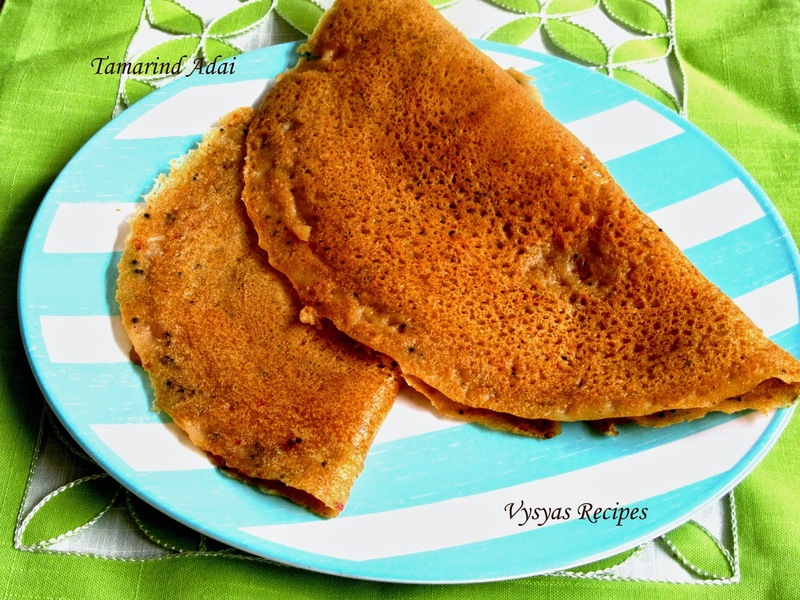 When it cooked on one side flip the adai , when it is cooked on both the sides,remove from the tava and serve hot.